Great comic. I love the theme, too: Generation Z clueless even in church. You need a new label to categorize all of your gags that have sunday school students saying silly things and the teacher rolling his/her eyes. Tag: Students just not getting it. Good call, Anonymous, especially since the last two comics of the week fit that theme. 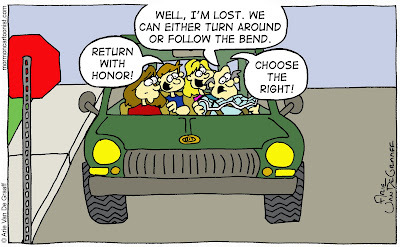 This comic looks great on your blog, but it looks even better in the New Era. You are great! 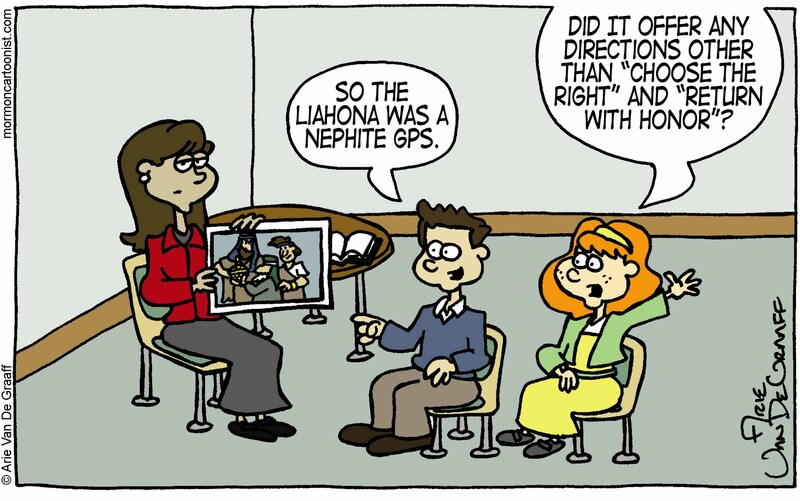 I think the Liahona is closer to a cell phone. 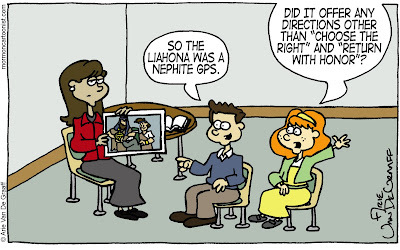 Even though they couldn't use it to call anyone, it did receive text messages from God and had a GPS app.